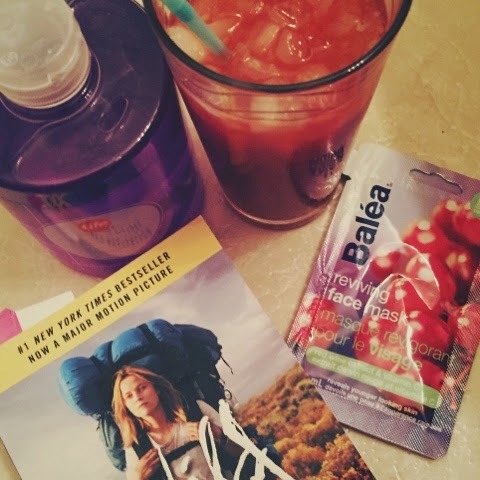 Life With A Love Bug: Taking time for yourself! This rarely ever happens but I just felt the need after some tough life decisions I have made recently a me night was needed. Like very much needed. I've been working almost non-stop pretty much all month and yesterday it just clicked no more excuses you need a night to relax! So that's exactly what I did! 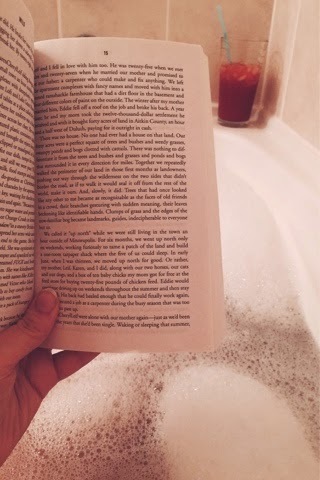 I decided I would enjoy a nice camomile & lavender bubble bath while sipping on a nice cold ceaser reading my new book "Wild" it was really nice just to be able to sit and relax and read I hardly ever get a chance to read so this was very much needed. I know I need to take time for myself more often and one of the ways that I am going to try and do that is to go to bed earlier at night to get some more sleep. I find myself tired pretty much all the time! I want to make myself a list of things I want to do for myself almost like a bucket list of relaxing things to give back to myself for working hard. Maybe that can be a new post that I can do in the future a doing things for me list! I have to say it always takes me a very long time to do anything for myself it took me almost 2 years to give myself time to get my hair done. My hair had gotten so long and I really wanted to do something different than my average get it cut and straight one colour. So I went and got my hair cut short and then got my hair ombred and I have to say it took a long time to get done (about 8 hours) but I love the outcome! but since then this is the first time I took time for myself that didn't cost me over $100. It felt good and I'm going to do it again, I realize at this point I'm probably rambling so I'm going to end this here. Take time for yourself you will thank yourself later! My favorite food to make or eat. Fitbit one first day review!